Named after George Washington, the state of Washington is known for its majestic mountains, high deserts, beautiful beaches, and agriculturally rich valleys. The state is the biggest producer of pears, apples, red raspberries, hops, spearmint oil, and sweet cherries. Aside from being an agricultural basket, it is also known as the home of numerous wineries, professional sports teams, software companies, clothing companies, medical centers, and top-notch educational institutions. There are many reasons why you should drive your RV rental to Washington State. We would like to share with you a list of our favorite attractions, and places to stay in your RV rental in Washington. We hope this would jumpstart your trip to the “Evergreen State”. The Space Needle is a popular Seattle attraction and is often called the symbol of Seattle. Built for the 1962 World’s Fair, this observation tower was the tallest structure west of the Mississippi at the time of its construction and was a feat of architecture and industry during that time. Visitors can take a 10MPH elevator up to the observation deck for an unparalleled view of the Seattle skyline. Mount Rainier and the various Washington mountain ranges can be viewed from the top of the Space Needle. Opened in 1907, Pike Place Market was established so consumers and farmers can directly sell and buy their goods. Today, Pike Place Market is a well-loved icon of the city, and is still where one goes for the freshest produce. It has everything and anything you want! This is where you will also find specialty foods, imported products, small shops selling unique items, craft stores, toy shops, bookstores, bakeries, cafes, and fantastic dining options. Have fun shopping and eating at the Pike Place Market. If you are traveling with your kids, you must visit the Hands On Children's Museum located in the city of Olympia. We guarantee that your kids will have a fantastic time! Founded in 1987, the museum aims to provide fun hands-on science and art education activities exclusively for kids. It has hands-on exhibits in eight galleries focusing on various topics such as construction and design, arts, environment, healthy lifestyle, and more. Parents are provided with several programs and workshops which would enhance their parenting skills. There are also numerous events s scheduled throughout the year, which we are sure, your kids would want to attend. The museum is open daily. Located in the city of Bothell just a few minutes from Seattle, Lake Pleasant Park is a great option for an RV rental in Seattle, Washington. It is an excellent home base if you are planning to visit Space Needle, Snoqualmie Falls, Pike Place Market, and other attractions in the area. 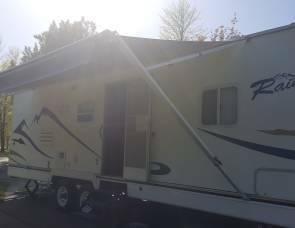 It has 111 available paved full hookup sites with room for slideouts. Facilities and amenities include fishing at Lake Pleasant, playground, nature trails, recreational hall, planned activities, outdoor games, wi-fi internet access, restrooms and showers, laundry facility, and self-service RV wash. Lake Pleasant RV Park is ready to serve you at any time of the year. Located a few miles from the city of Tacoma, Gig Harbor RV Resort exudes a very friendly and laid-back atmosphere. 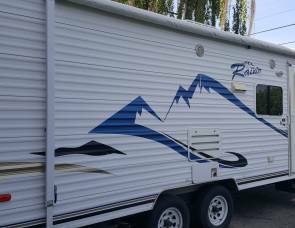 It is a family oriented campground perfect for a travel trailer rental in Washington. 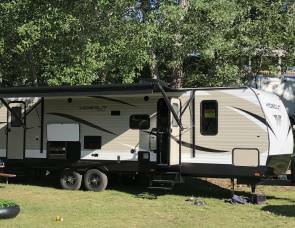 Facilities and amenities include wi-fi internet access, swimming pool, recreational hall, playground, nature trails, horseshoes, cable TV, RV supplies, restrooms and showers, and laundry facility. You can stay at the Gig Harbor RV Resort at any time of the year. Located in the town of Mead just a few minutes from Spokane, Alderwood RV Express is very near the city yet it exudes a very country feel. 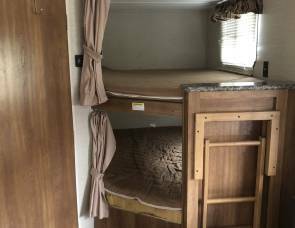 It can accommodate various types of RV including a tent trailer rental in Washington. 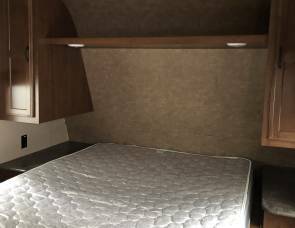 It has 80 available full hookup sites with room for slideouts. Facilities and amenities include heated pool, playground, pavilion, planned activities, outdoor games, recreational hall, cable TV, wi-fi internet access, groceries, RV storage and supplies, restrooms and showers, and laundry facility. Take day trips to the numerous attractions in the area from Alderwood RV Express, open all year round. If you love lentils, you must attend the National Lentil Festival held annually in the city of Pullman every mid-August. First celebrated in 1989, the festival is a two-day event which features lots of lentils cooked in different ways, kids activity area, Tour de Lentil bike ride, Tase T. Lentil 5K fun run, Tase T. Lentil miniature golf tournament, food and merchandise vendors, cooking demonstrations, a grand parade, and so much more! Bring the entire family and enjoy the lentils! An annual festival that spells lots of food, entertainment and activities, the Pig Out in the Park is a one-week event held at the Riverfront Park in Spokane every September. First celebrated 28 years ago, Pig Out in the Park features 45 food booths, 3 adult beverage gardens, and 100 Free Concerts on 3 Stages! Groove with your favorite bands and singers, while savoring delectable food at the Pig Out in the Park. From apples to concerts, the State of Washington has everything you wished for in a vacation. 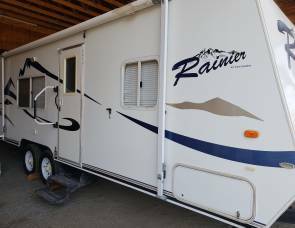 Check out the trailer rental to Washington prices at RVshare and get there as fast as you can!